Giant viruses overlapping in size and genome complexity with unicellular organisms are among the most unexpected discoveries of the last 15 years in virology. Yet they are in turn considered evolutionary freak by some, or precious living fossils of ancestral life forms by others. Our comparative analysis of 6 strains of the spectacular Pandoraviridae family now suggests that their giant genomes may be actively breeding new proteins and functions. For more than a century, virologists remained paradoxically blinded by the tiny dimension of the first virus discovered by Dmitri Ivanovsky in 1892, the causative agent of the Tobacco mosaic disease. 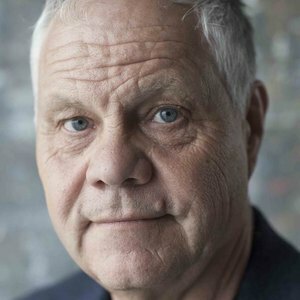 Accordingly, the “viral fraction” of any biological sample remained defined as whatever passed through the so-called “sterilizing” (0.2 µm –diameter pore) filters. This changed for ever in 2003, when we recognized the viral nature of the Acanthamoeba-infecting Mimivirus, more than 10 years after its initial isolation and erroneous classification as an obligate intracellular bacteria. With its icosahedral particles more than 0.7 µm in diameter and its 1.2 megabase genome, Mimivirus (for “microbe mimicking” virus) inaugurated the era of giant viruses (e.g. easily visible under a light microscope)(Science 2003) (Science 2004). 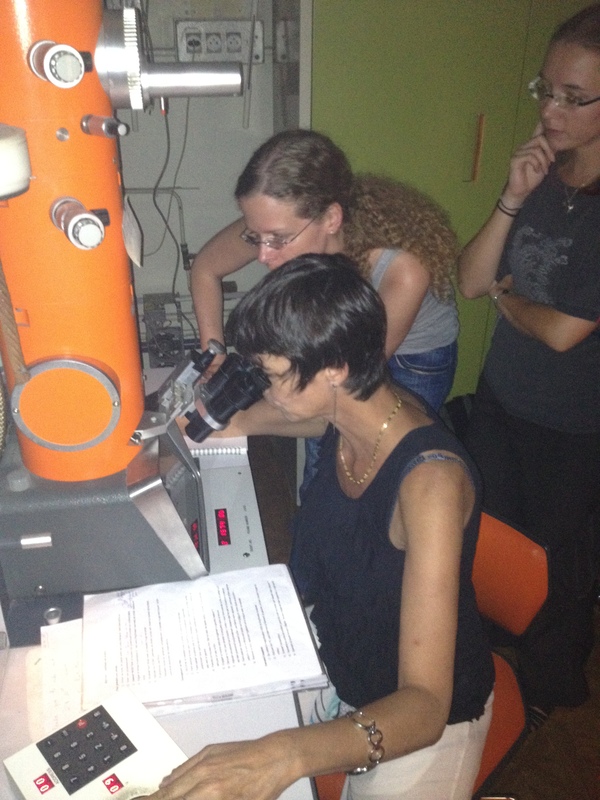 The excitement of looking at a new giant virus through an outmoded electron microscope. Credit IGS-CNRS/AMU. Given the extraordinary features of this new virus, it became essential to establish that Mimivirus was not the only representative of its kind. Guided by sequence similarity hints from the metagenomics data gathered from the Sargasso Sea by Craig Venter’s laboratory, we embarked into marine investigations, as total amateurs. 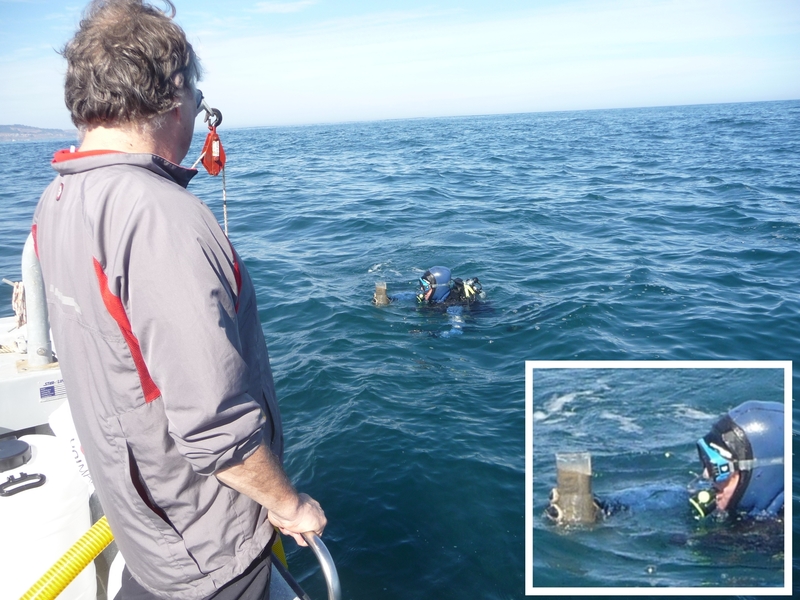 We took the opportunity offered by the European initiative “Assemble” to travel to Chile and use the sampling facilities graciously offered by the ECIM (Estación Costera de Investigaciones Marinas) in Las Cruces. Lucky as all beginners, we brought back the first marine Mimiviridae from this trip, now known as Megavirus chilensis, establishing the world-wide distribution of the family, and a new world record for viral genome size (1,259,197 base pairs)(PNAS 2011). Randy Finke, from ECIM, is bringing back bottom sediments in an improvised container. Credit Chantal Abergel, IGS-CNRS/AMU. But more big surprises were looming. We came back in April 2010, expecting to isolate additional members of the Mimiviridae, still believed to be the sole family of giant viruses. This time, we did not find a new Mimivirus relative but a very strange microbe, shaped like an amphora (one µm long and half a µm in diameter) and happily multiplying within Acanthamoeba although we could never see it dividing. What we had isolated from the shallow sediment off Tunquen Beach, was Pandoravirus salinus, the first member of a new family of giant viruses, the Pandoraviridae. 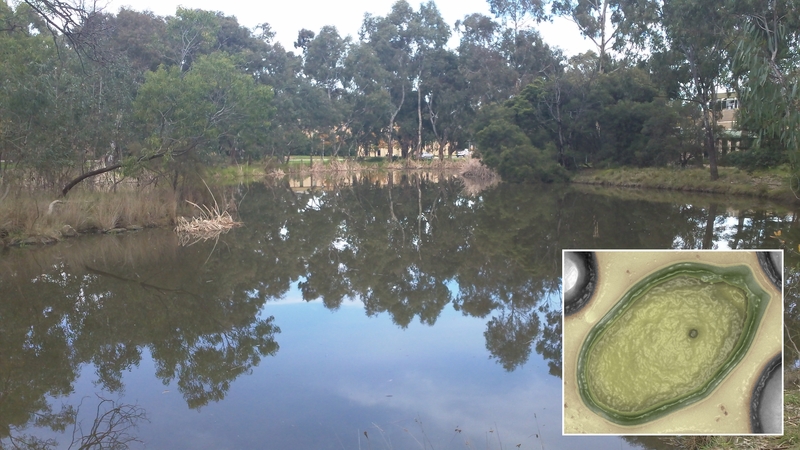 One year later, we isolated the second member of the family, Pandoravirus dulcis from a small fresh water pond next to the conference center of La Trobe University in Melbourne, Australia (Science 2013). The La Trobe University pond from which P. dulcis (insert) was isolated. Credit IGS-CNRS/AMU. what evolutionary incentives could lead to such gigantic genome sizes, when many viruses are doing extremely well with 100 times less genes? why are these viruses escaping the ubiquitous trends toward genome reduction exhibited by all obligate intracellular parasitic microbes? how did the ancestor of these giant viruses look like? Were they even more complex cell-like organisms (then subject to reductive evolution), or “classical” viruses with a handful of genes? how can we explain that 90% of their proteins do not share any significant similarity with proteins of other viruses (outside of their own family) or cellular microbes? Either these orphan proteins are ancestral and originated in highly diverse branches of the tree of Life that did not leave any non-viral progeny, or these proteins were acquired by lateral gene transfers from hypothetical organisms not yet characterized. Quite unlikely, isn't it? Following the detailed characterization of three new Pandoraviridae isolated from France, New Caledonia and Australia, our paper proposes an issue to this dilemma. Our comparative genomics study strongly suggests that most of the genes encoding orphan proteins have been created in situ and de novo, from within the unusually long and G+C rich, noisily transcribed, intergenic regions of the Pandoraviruses. If this happens to be true, the long quest for the evolutionary origin of the giant virus genes will end and should now be replaced by the elucidation of the molecular mechanisms and evolutionary forces responsible for such feat, putting once more viruses on the center stage of evolution, as "creators of genes". 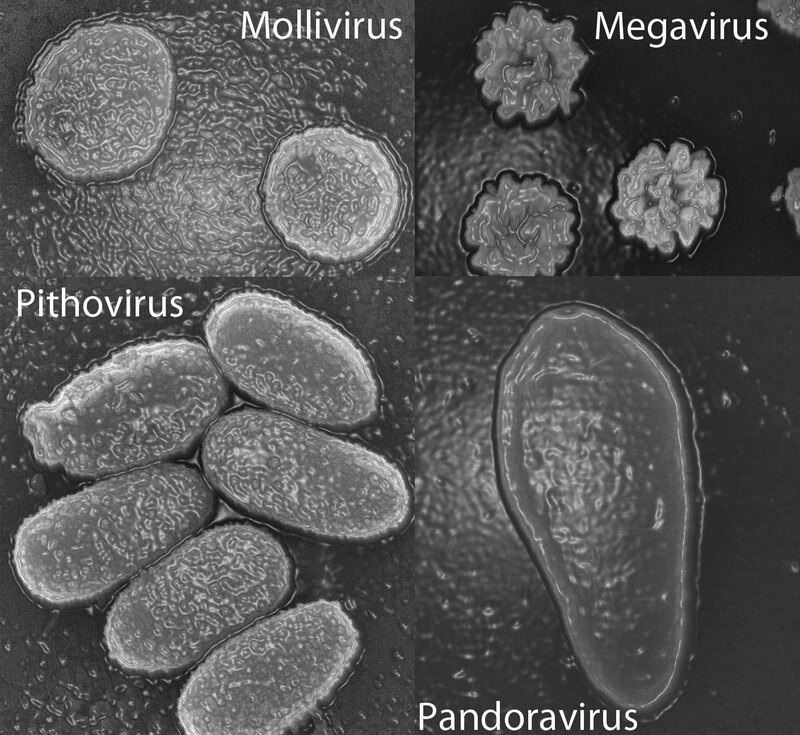 Computer-enhanced electron micrograph of representatives of the 4 known giant virus families (FEMS Microb Rev 2015). Credit IGS-CNRS/AMU. Amazing as it is, life or something inbetween life and just matter, lacks restrains. I'm concerned about this flourishment of megavirus discoveries: are they potentially harmful?, why they evoved as they are actually. Time to read again A World of Viruses! Most of these large of giant viruses were (and are still) discovered in aquatic environment (fresh, brackish, or marine waters). They were ignored (missed) simply because since the very beginning, "viruses" were meant to be much smaller that other microbes (such as bacteria, eukaryotic plankton cells, etc). Thus the very first step of any analysis of the virus content in a sample started by .... filtering the water through a 0.2 micron porosity filter, thus the megaviruses were retained on the filter, with the bacteria and other cellular microbes. The flurry of discoveries of giant viruses (the one that do not go through the filters) is thus simply due to the fact that scientists have changed their protocols following the serendipitous discovery of the first giant virus, Mimivirus, in 2003. Thus these discoveries do not correspond to a new phenomenon (for instance related to global warming), and these viruses have been around for billions of years, notably in the oceans were they regulate the population of the microalgae responsible for the production of 1/3 of our oxygen. Thus don't worry, this is not like a new epidemic. Moreover, for reasons that are not clear yet, giant viruses seems to restricted to unicellular microbes, and none of them infect multicellular organisms (including terrestrial plants, animal and humans). This is probably due to special evolutionary constraints that are not yet clear, but could be linked to the absence of immune defense mechanisms in these unicellular hosts. So, in conclusion, don't worry: these giants viruses do not correspond to a new threat: not new, because they always have been here, and no threat because they only infect microbes. You can continue to take a swim!